Comment: Let me put it this way... There was a period when not just American magazines, but the world could not get enough of Coby Whitmore and others working in what could be considered the most recent “Golden Age of American Illustration.” Like all things good, the wave on which those artists rode eventually met the shore and was slowly pulled back to the depths. Illustrators have long struggled with the “What next?” question. There were (and continue to be) plenty of illustrators who didn’t answer such a big picture question effectively. Whitmore though was not one of those. 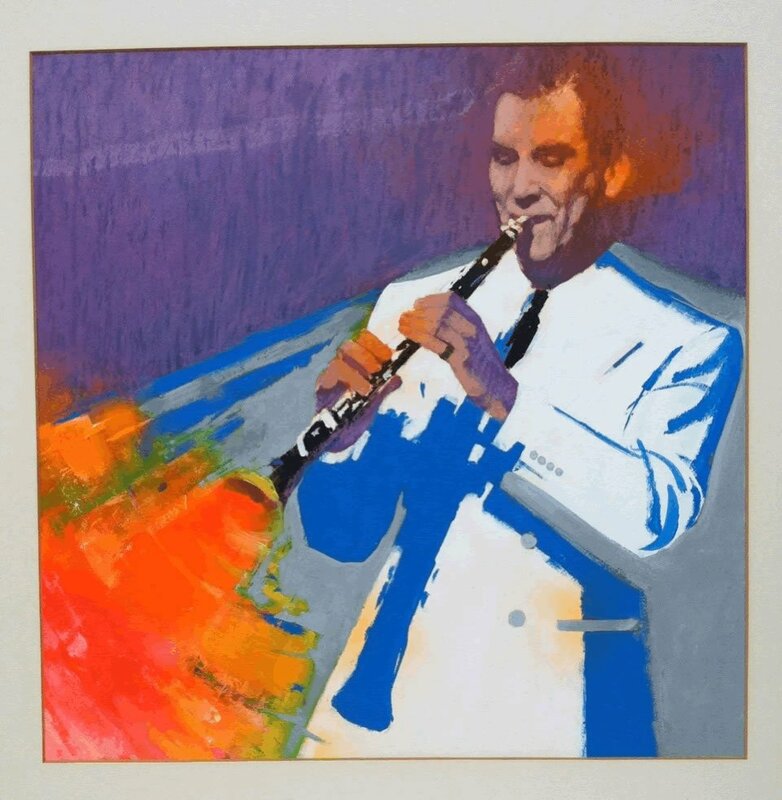 This first came as an Unidentified Artist piece, but I recognized right away that it was someone good and so took it in. Lo and behold, between a rubber stamp on back, the artwork’s location in Illustrators XII and the acquisition of the set of vinyl, the story is now complete. While details like clients, mediums and styles may change, it is the great talents that endure. Full set of the records is included for your listening pleasure. Condition	 Excellent, not framed, rematted since the time of photography. 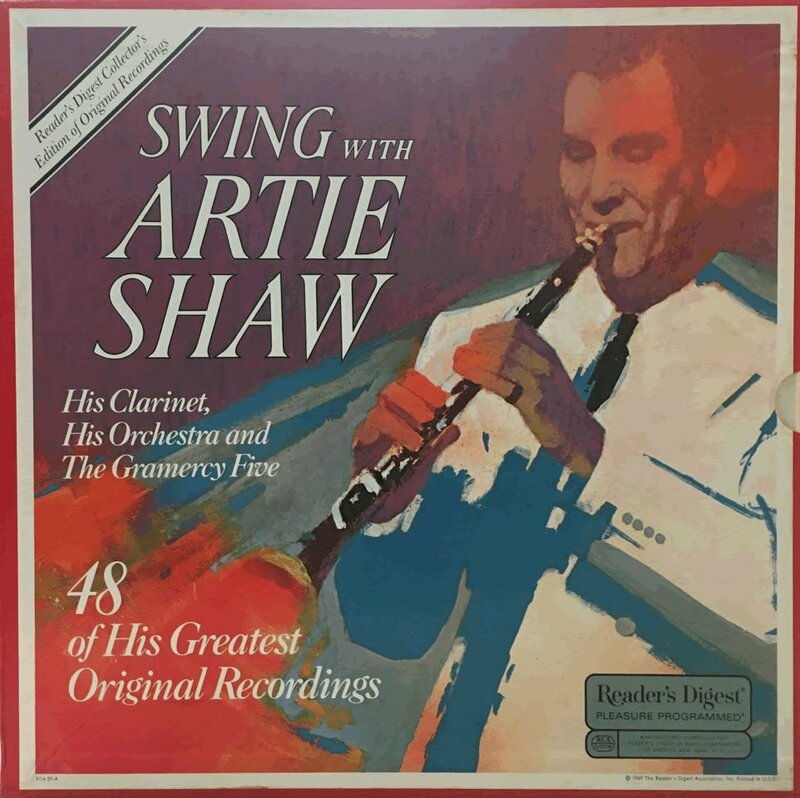 Publication Information	 Boxed set of records cover artwork Swing with Artie Shaw: His Clarinet, His Orchestra and The Gramercy Five Published by Reader’s Digest Association, 1969.